Fifth and Sixth class pupils attended the Marquee in Lanesboro during the “Taste of the Lakelands” Festival and spent a wonderful morning learning how to make soup, cereal bars and scones. As you can see, there are many budding chefs in Ballagh NS!! On Thursday, 6th October, the pupils of Ballagh NS took part in the Opening Ceremony Parade for the Taste of the Lakelands Festival in Lanesboro/Ballyleague. All the children were dressed in wonderful costumes and brightly coloured clothes and they proudly marched through the streets of Lanesboro and Ballyleague displaying their wonderful artwork. This was a wonderful evening and there were lots of exciting floats and characters to be seen. As a thank you for taking part, the children were treated to an ice-cream party the following day at school, by the Festival Committee. A big congratulations to Shane, Adam and Sean on their recent great achievement. 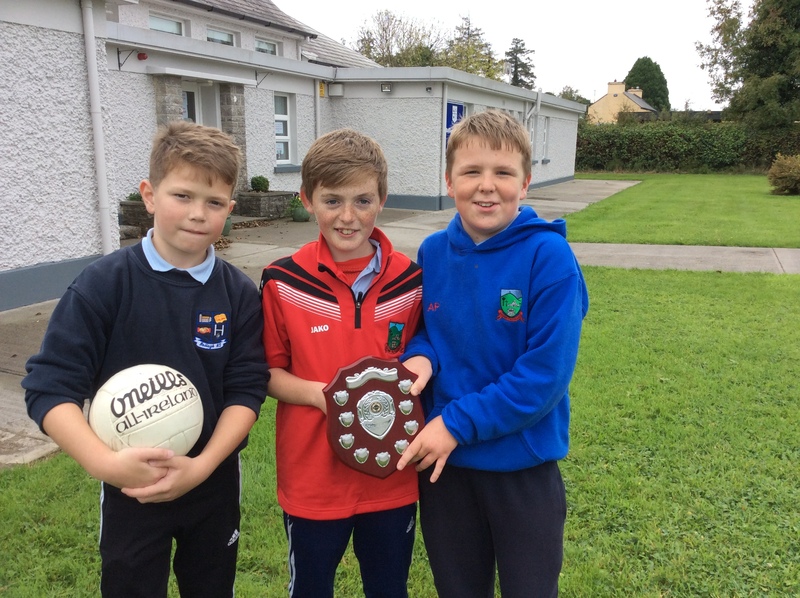 All 3 boys are members of the U12 St. Faithleachs team who recently won the Div3 Final.